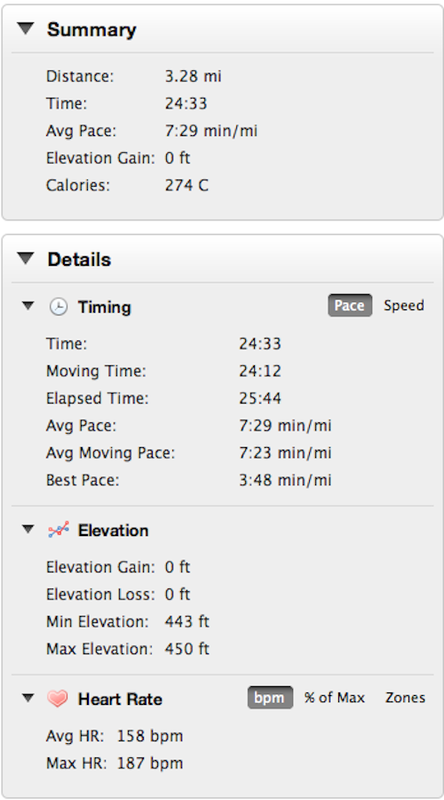 Workout: Warm [1.25 mi. 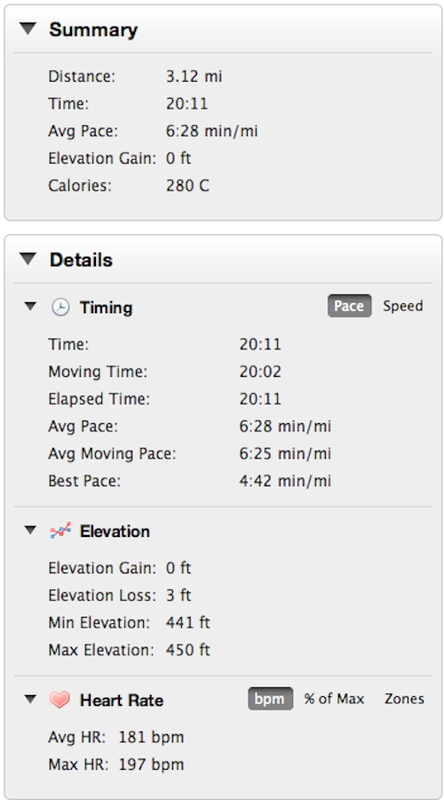 ], 3×800 @ 2:44 w/ 400 jog Weather: 75 degrees, partly cloudy. It was a nice run, that is, a nice stretch of successful runs, but suppose everything comes to an end. 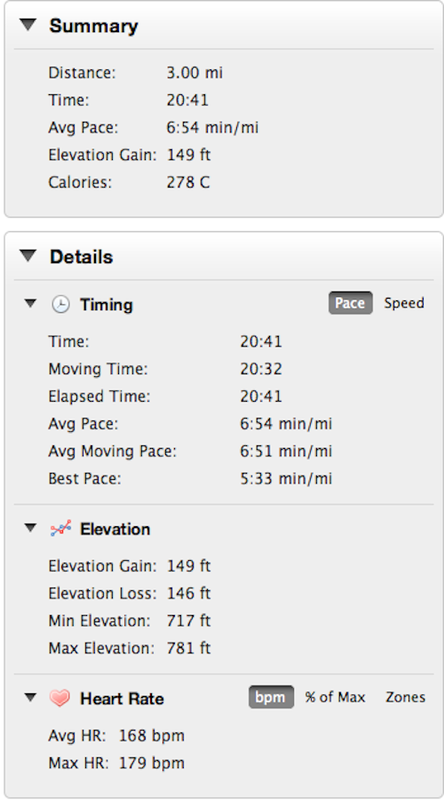 Pretty much the same workout as last week, except I added 0.5-mile extra of warm-up. Plan was 6×800 at the same pace. The idea with repeating workouts is to own the pace. Should start to feel a little more comfortable. A little muggy out there (90% humidity). Still, the warm-up went well to be honest. The first rep was a little more work than I thought it should be. Second rep was even harder. After the third rep, I decided to back out. HR hadn’t maxed out by any means (185 bpm at the end of the third rep), and I probably could have finished the workout with a great effort. The idea for me though is that these workouts are supposed to feel easier over time. If something’s more difficult this week than last, then I’m better off resting. I think. Quitting isn’t great mental training – no doubt. But I’m more interested in staying healthy. Not changing any plans. 8 miles easy tomorrow and the 12 mile long run on Saturday. See if I can limit the damage to today. 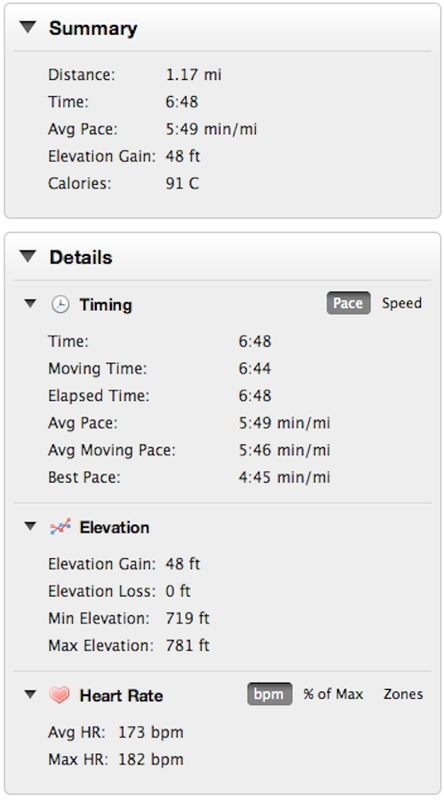 Workout: Warm [1 mile], 2 miles @ 6:10 pace, Form Drills Weather: 73 degrees, partly cloudy. 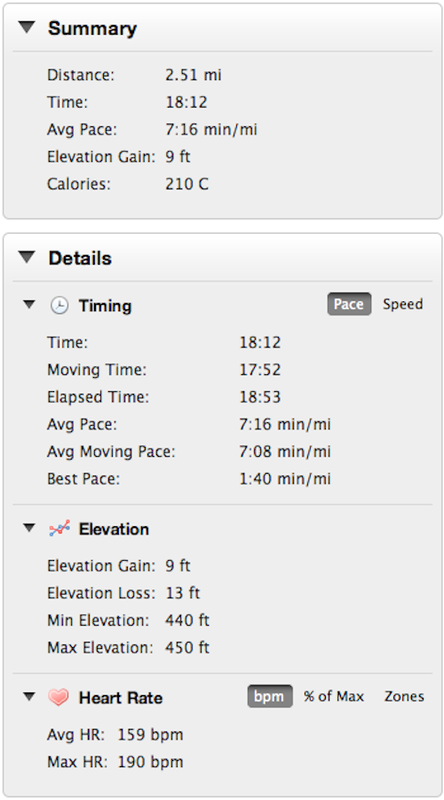 Workout: 1.57 miles @ 5:50 pace. Weather: 68 degrees, cloudy. Ok. So it’s not that bad. But I am getting a little tired. With that, I’ve had a change in heart. Failure ain’t so bad. In fact, I kind of like the battle. My body is changing, I believe. Just not on my schedule. The show goes on. 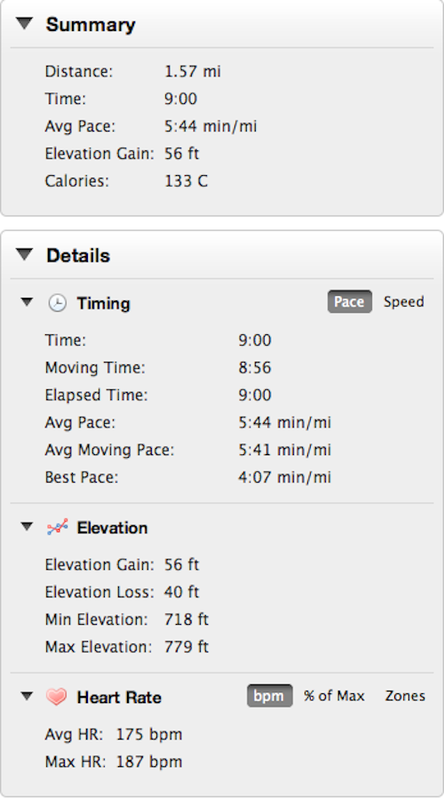 Moving from 6:10 to 5:50 pace this month. I’ll try the time trial again in late August.